Crochet, knitting, astronomy & life in general. Since I'm involved with all this IYA stuff, I feel I should be giving it some good publicity. A couple of months ago, I was involved in the IYA kick-off at the Ontario Science Centre, which involved making planispheres for the kids (and for the young at heart) and showing off some meteorites, along with handing out astronomy pamphlets. It was a lot of fun, and a lot of exhausting. 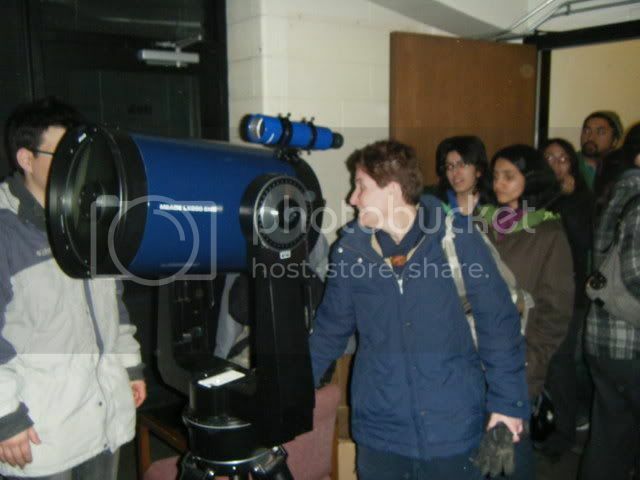 I'm also one of the assistant coordinators for the UofT Astronomy Public Tours, a programme which allows the general public to have contact with real astronomers and to learn something about astronomy. It generally consists of a public talk at 8pm on the first Thursday of every month (except January) followed by observing through our 10" Schmidt-Cassegrain telescope and our 8" refractor. Generally, there are about 100 people at these tours, and last month we had an exceptional 200+ attendees. Upcoming events include observing during Earth Hour, which will take place on March 28th at 8:30 pm. For this event, the entire city of Toronto will be turning off their lights for an hour, allowing us a full hour sans light pollution! I'm pretty excited for that. 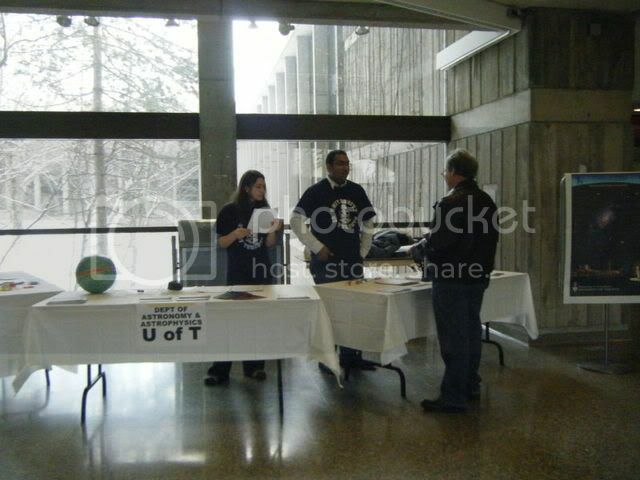 There are also public tours which you can find out about on the upcoming UofT tours on our website (linked above). Too much pink acrylic yarn! Cherie Amour, oh how I love thee!